Follow this simple recipe to make homemade ice cream in a bag! This activity is as tasty as it is fun! Math skills when adding ingredients. Following directions when they mix the ingredients together. Communication skills by retelling you how they made the ice cream. Make sure they tell you the steps in the right order! 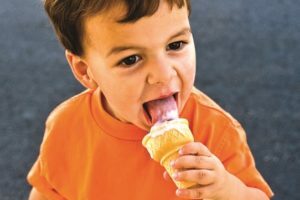 This is an activity that’s not only fun and educational to do with your child, but you get ice cream at the end of it! So what are you waiting for? You’re only 5 ingredients away from tasty goodness! From bonding to increased communication to healthy relationships with food, family meals really do matter. 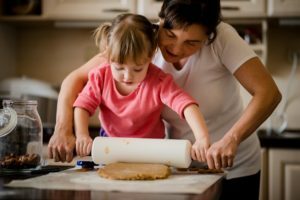 Use our tips to make the most of that family time. It’s not too early for you kids to be in the kitchen cooking with you. At every age there are ways to help and opportunities to develop important skills.